The membership is designed for new & advanced traders. You will discover all our strategies & trading tricks to make your success journey comfortable and simple. Here you have unlimited access to all our EAs, tools, our private Facebook group and our unique live trading and training room, where our coaches & members trade, discuss, compare and share their results. All this and much more will save you a huge amount of money and time in the long run. In those four Modules we will teach you how to profit from any Forex pair and under any condition or market behaviour. You get access to all our powerful trading strategies and we will show you how to trade in a range, in a trend, where to enter a trade, where to take profits and how to trail your APO (stop loss) to minimize risk and leverage profits. We will reveal to you all our tricks to identify changes on our classic trading chart template early, and how to protect yourself from self-sabotage. You will learn how our EAs will identify trade setups automatically, so you don’t have to wait for setups in front of your PC. You will discover how simple trading can be, even when you are busy or at work most of your day. 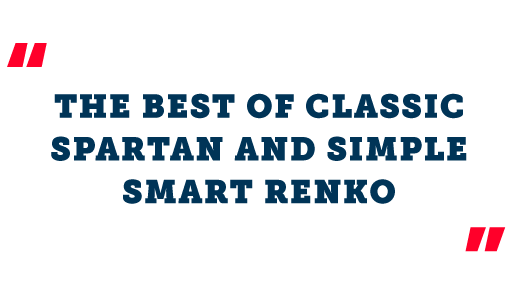 At this point you will have a clear understanding on how to trade using our classic Spartan system charts. It will be much easier now to start practicing with Renko box charts. Renko boxes measure volatility and are not time based. This filters out a lot of noise on the charts and allows us to take full advantage of price action trading. 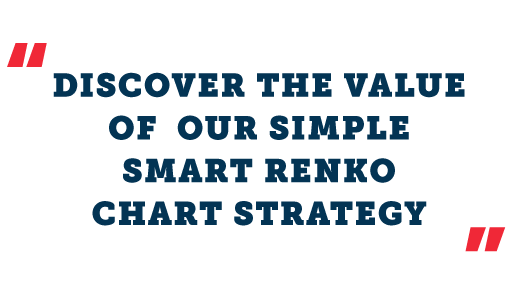 You will learn to apply all our simple, but awesome strategies in combination with our most powerful Renko trading EA. This will allow you to spend your valuable time with something else while you are waiting relaxed for alerts or push notifications on your smartphone. It’s the ultimate way of trading. In this video module we explain all the features and details on how to use our EAs’, indicators, updates and of course our MetaTrader 4 software. No worries, because there are no technical skills required here. Everything is simple and easy to use. The joule of this program is our live trading and training room which is on 6 times a week during London & US session. We look for live trades and upcoming setups together. We discuss and analyze our forex pairs, metals, and more and check for trades on all styles (swing trading, day trading and scalping) together. We want members to be active and are happy to answer questions or discuss specific topics. We are working with our classic as well as Renko charts during the live sessions and everything is recorded for you to watch later in case you miss the live room. I have been in the trading world for years. I have had positive periods, but also dark moments. With Nikos, Tomek and Yannis I really changed my way of trading. My results have improved a lot and the quality of my life as in general as well. I can only recommend this; If you want results as trader, go with Nikos’ programs. He has completely changed my point of view in this business. He made me understand the importance of choosing my own trading style. He helped me creating a traders mindset that suites me and my lifestyle. I was searching a long time for a guide or coach in concurrent trading, which wouldn’t just promise me easy money. I am quite conservative as a trader, but I wanted more time and more money for me and for my family. Nikos and his team gave me all support, tools and techniques I was looking for. Nikos also taught me to be patient and focused which for me was and is the key to success in trading forex. Thanks for everything. With Nikos my success is becoming more and more consistent. My account is moving forward. My confidence has grown immensely. What I have learned from Nikos and his colleagues is that; Keep using the system and regardless of what the market is doing, whether going against you or for you, keep your mindset right and your profits will be right- Thank You! My name is Anela and before I met Nikos I was ready to give up on trading Forex. I found him accidently on YouTube. I was actually impressed and decided I wanted to know more, so I joined. For me it was like discovering a new world. Nikos and his team are exceptional teachers. They make trading look so simple. I still have a long way to go, but with my teachers I’m sure I will achieve my goals faster than I thought possible. A big “thank you» to Nikos and his team. Leave it blank if you want Link working. It happens sometimes that some individuals sell our material illegally online or promise support to potential clients. Now, our primary goal is to help our members step by step achieving their goals in financial market trading. Only members have the support, full video material, member’s area, live trading/training room access, EA licenses private sessions, technical support etc., when purchasing the original products. You will find these original products on this website only. You can contact us & send us an email if you are not sure about something. Our team is always here for you. Be on alert if someone, other than our team members is approaching you, using our coaching material or our brand name. Feel free to inform us (confidentially) at any point.